Services for Captain Bergman were held recently in Eagan MN. 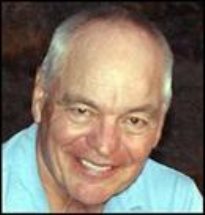 Obituary......Kenneth Bergman, age 74 of Florida, formerly of Inver Grove Heights passed away after a short battle with leukemia on July 11, 2015. He is survived by his loving family; wife Jean Bergman; children, Ken (Lisa Blee) Bergman, Jeff (Jenny) Bergman; brother Ron (Leslie) Bergman of Washington; sister Judy (Andy) Weber of North Carolina; grandchildren, Corey, Tess, Max, Devin and Sophia and many nieces, nephews and cousins. He was preceded in death by his parents, Erich and Margaret Bergman and brother Robert. Ken served as a United States Naval aviator in the 1960's and continued his joy of flying at Northwest Airlines, retiring in 1994. A Celebration of Life gathering will be held from 5-7 pm on August 9, 2015, at Easter Lutheran Church by the Lake, 4545 Pilot Knob Road, Eagan. He will forever be remembered for his love of his family, and his passion for golf, fishing, hunting, news and investments and "tinkering". He will be deeply missed. In lieu of flowers, memorials preferred to the American Cancer Society.